The Music Audio Stories Easter Library Tour 2019 kicked off today! Anna-Christina brings her unique musical Easter Story Time to London Libraries over the next two weeks! Children will have the opportunity to hear her new audiobook called 'Easter Egg Hunt' and take part in her fun Easter activities. Full details can be found here Easter Library Tour 2019! NEW BLOG POST! Easter Egg Hunt! 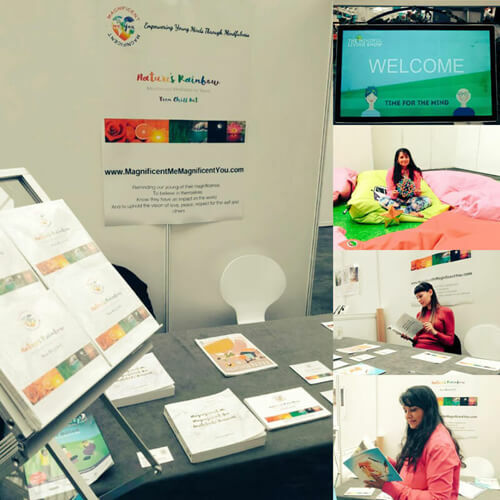 "So proud to see how positively people responded to Nature's Rainbow at the Mindful Living Show last weekend! I loved making the music for this album! Well done Dawattie Basdeo for creating such lovely products to aid with mindfulness development. ♥Anna-Christina"
Anna-Christina will be returning to this year's Mindful Living Show at The Business Design Centre running tomorrow, Friday 15th and Saturday 16th March! For the last two years, Anna-Christina has managed the Magnificent Me Magnificent You stall with author Dawattie Basdeo. Copies of the album 'Nature’s Rainbow', the mindfulness meditation for teens album they made together, as well as other products created by Dawattie will also be available. 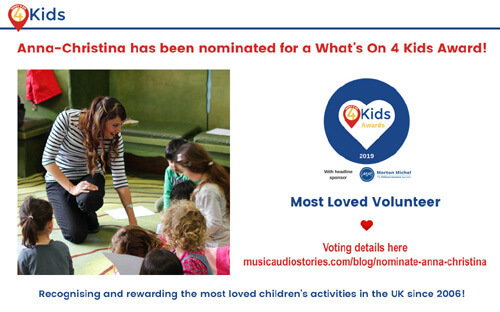 Anna-Christina has been nominated for a What's On 4 Kids Award in the category of 'Most Loved Volunteer' - Open to an individual providing children's activities anywhere in the UK on a volunteer basis. 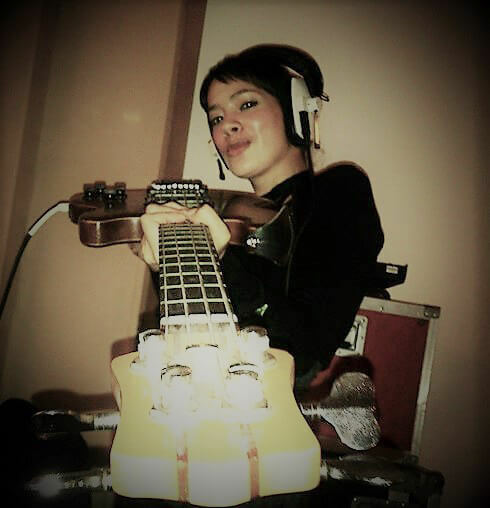 In the latest Music Audio Stories Blog post Adie Hardy has written this. "Over the last few years, Anna-Christina has taught hundreds of children at libraries and community events all over London with our Music Audio Stories and brought happiness and joy to so many families with her musical magical Story Time. 'Storytime with Anna-Christina' is brought to libraries free of charge so that everyone can participate and enjoy her events. What many people don't know, is that she tirelessly dedicates her time and energy as a volunteer! Not only does she entertain children with her excellent storytelling, but she also provides fun activities to encourage them to learn, often using print-outs and props. She has created a unique Story Time experience which has grown in popularity all over London and it is wonderful to see her hard work being recogised. Her passion to contribute to libraries and communities is inspirational!" Read more about this and other news in her latest Blog post below. Today Anna-Christina begins her first Story Time of 2019! Music Audio Stories bring their musical Circus Storytelling workshops, for the first time, to the Hammersmith and Fulham area! Full listings for all of the library visits this week can be found here February Half Term Library Events. NEW BLOG POST! February Fun! 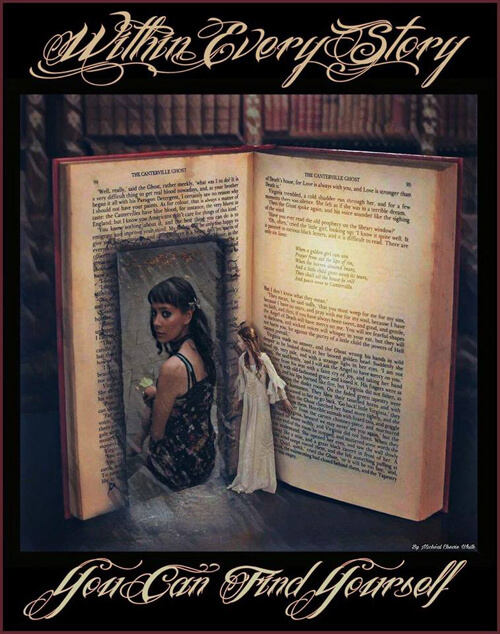 "Thank you Michéal White for creating this artwork for me. I love it! ♥Anna-Christina"
Read about why Anna-Christina scrapped her first book draft, her plans this year for audiobook releases and Story Time plus what she's doing this weekend in her Blog Post below. Anna-Christina has announced her first Story Time events for 2019! Find out where and when they are here February Half Term Library Events. "HAPPY NEW YEAR EVERYONE! Thank you all so much for your love and support on my adventures! I greatly appreciate it. I wish good health and happiness to all and hope this year brings light and love to everyone! We've got 365 days to make our dreams come true! Let's go... ♥Anna-Christina"